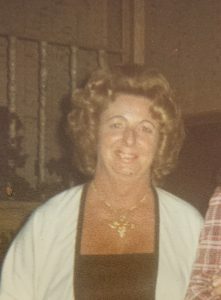 Joan A. Conway of Denver, North Carolina Formally of Bayville New Jersey and Woodcliff New Jersey passed away peacefully surrounded by her loving Family on November 24th 2018 she was 87. Beloved wife of the late Albert Conway Beloved Mother of Bruce Conway and his wife Suzanne Patricia Benducci and her husband Michael. Cherished sister Ruth Calabro grandchildren Dennis Conway, Kelly Conway, and Michael Benducci. Great grandchildren Daniel Conway and Dominic Conway. Predeceased by her Parents Ellis and Ruth Nash and sisters Marilyn Crossley and Dorothy Notoroberta. In lieu of flowers please make a donation to Catawba Reginal Hospice 3975 Robinson Road Newton, NC 28658. A family service will be held later this month in New Jersey. Arrangements are being handled by The Good Samaritan Funeral Home. Joan and Al were my neighbors in Bayville, NJ and that is how I met the whole family. Bruce, Suzanne, Danny and Kelly and to this day have been blessed to just know all of them. A family filled with love and laughter. Bless each and everyone for their loss of a good friend, mother, sister, grandmother, and wife to Al. My prayers to all of you. Joan was such a sweet lady. I just got to know her over the past few months through Hospice and I will miss my weekly visits with her. She did her best to try to communicate in spite of her dementia and I could tell how much she loved her family by her response when we looked at her family pictures in her room. I will always remember her smile and will think of her anytime I hear Frank Sinatra! My thoughts and prayers are with her family. I was very fortunate to have met her. My heart breaks for her Family.